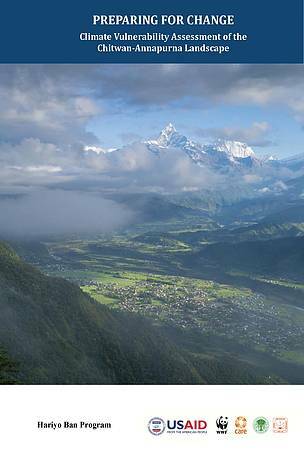 The Himalayas are expected to experience many changes in temperature and precipitation due to climate change. Climate projections for Nepal suggest that monsoon (summer) precipitation will increase, especially in eastern and central Nepal, but actual rainfall patterns will be highly variable, both spatially and temporally. Extreme weather events are expected to become more frequent, with extended droughts interspersed between periods of intense precipitation. Winters are predicted to become warmer. 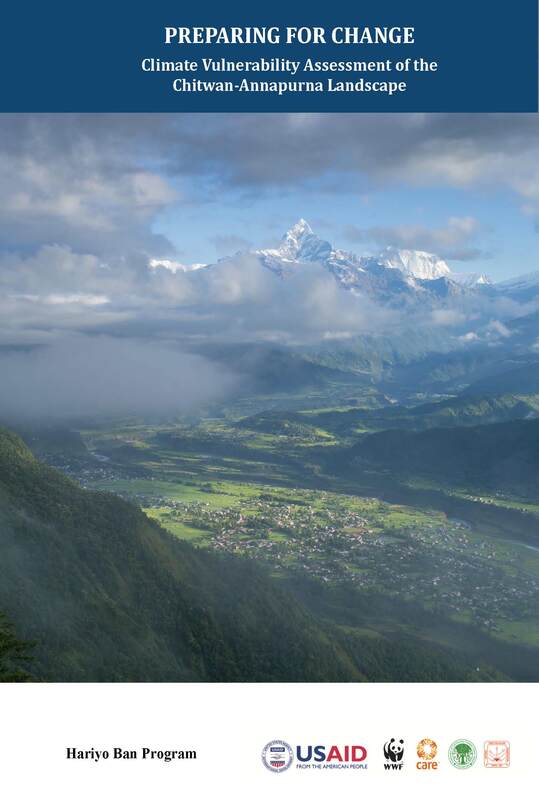 The Chitwan-Annapurna Landscape (CHAL) spans the geographically and biologically diverse Gandaki River basin in the central Nepal, extending from the tropical lowlands in Chitwan National Park (CNP) to the cold, high-altitude semi-desert of the Trans-Himalayan Region (THR) and the peaks of Annapurna, Manaslu and western Langtang. With an altitudinal range of nearly 8,000 m, highly dissected terrain, and complex seasonality, the landscape has a wide array of climates and microclimates that shape the habitats and environmental conditions for its rich biodiversity and ecosystem services. These support a human population of over 4.5 million and diverse economic activities. The ecological, socio-cultural and economic systems in the landscape are closely intertwined, with people’s livelihoods dependent on sustained ecological integrity.